Libyan militia uses vacated U.S. Embassy in Libya as swim club. Darn! We thought we were going to see some sexxy Libyan women in burquinis. Pink Glocks? CA Lawmakers Target Makers of Toy Guns. Looks like the brain trust in Sacramento is incapable of figuring out that the first thing the crooks will do is start painting their guns bright colors thus rendering this law useless. Atlantic City losing 2 casinos, 5K jobs in 3 days. The first result of the 2014 Summer of Recovery is in. Ex-President Jimmy Carter says he still prays for peace in Middle East. Jimmy the Dhimmi. Having solved all other problems, Obama to fix your dishwasher. Which means like everything else that Obama touches, dishwashers soon won’t be worth a damn. Michael Sam out. Not out of the closet this time – out of the NFL because the St. Louis Rams cut him. As expected. That hissing sound you hear is the air going out of the LGBT community. Misunderstanderers of Islam Threaten to Machine-Gun Ohio School and Bomb Chicago Police. Yes, it looks like the FBI is right, we have no domestic Muslim terrorist. IRS Warns of Phone Scam In Which Fake IRS Demands Money, Threatens Arrest. The motto here is don’t steal the IRS hates competition. Louisiana Democrat Sen. Landrieu faces more questions about her residency. Pete Stark in California pulled this, too. Used mommie’s address in California as his residence then wrote the property taxes on his house in Maryland off on his income tax. Typical lying Democrats. Myth of arctic meltdown: Stunning satellite images show summer ice cap is thicker and covers 1.7million square kilometres MORE than 2 years ago…despite Al Gore’s prediction it would be ICE-FREE by now. First the Antarctic sets a recrd, now this. It appears we won’t be having BBQ Polar Bear on a stick anytime soon. FBI National Domestic Threat Assessment Omits Islamist Terrorism. Evidently they never heard of Dearbornistan or Detroitistan. Someone please send them a map. Beige Obama says Don’t Worry Be Happy, the world is a much better place. The president says Americans, confused and discombobulated by social media, simply don’t understand what a great job he’s done. Someone please tell him the stuff he’s smoking now is more powerful than the “ganja” he smoked as a teenager. Ouch: Harry Reid Just Received A Very Public Humiliation From His Own Alma Mater. Perhaps they should install an outhouse. We’d bet they’d raise the funds to put Harry Reid’s name on that in no time at all. Idiotic: VA Training Manual Depicts Angry Veterans as Sesame Street Character. Well, this is all you veterans need to know about what the morons who run the VA think about you. ISIS laptop reveals doomsday plan of weaponizing bubonic plague for mass death. Nothing to worry about, ISIS is just the Junior Varsity. Donut Emergency!!! Five Miami Police Vehicles Busted Flashing Emergency Lights on Way to Breakfast. Bad Cop = No Donut. Saudi king warns West will be jihadists’ next target. Meanwhile President Excuse tells crowd: Media to blame for sense ‘world falling apart.’ Yes, we know, all is well at the golf course. Our President knows less about what’s going on than the King of Saudi Arabia. CNN’S RACE-BAIT BUMP ENDS; BACK TO WRESTLING MSNBC FOR LAST PLACE. Hey, at least they’re still ahead of Al Jazeera! Eleventy! 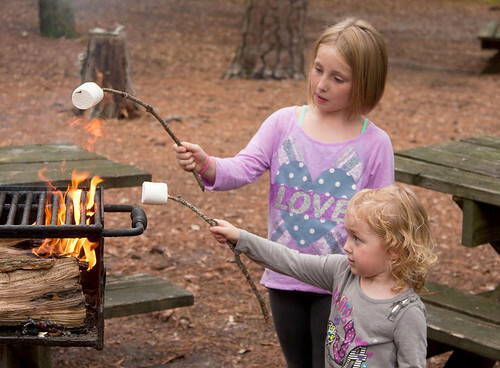 These children are Number 1 on the government’s most wanted marshmallow roasters list. On the dismissal of the Chris McDaniel challenge in Mississippi. One more reason Mississippi is listed as the number one corrupt state. Muslim pedophilia in UK ignored by authorities. Because it would be politically incorrect to acknowledge that Pakistani immigrants are perverts who prey on little English girls. Judicial Watch: Feds’ Bulletin Describes Threat of Imminent Terrorist Attack on Southern Border. According to Harry Reid this is a secure border. Yup, about as secure as a sieve. Has Russia invaded Ukraine or not? It is a sign of the Obama administration’s foreign policy confusion, impotence, and dysfunction that we can’t get a straight answer to such a simple question. 1,000 troops accompanied by tanks is not an invasion, says the president, but merely a “continuation.” Continuation of what? Poll: More Dems See Climate Change as a ‘Major Threat’ to the U.S. Than the Islamic State. Living proof brainwashing works.